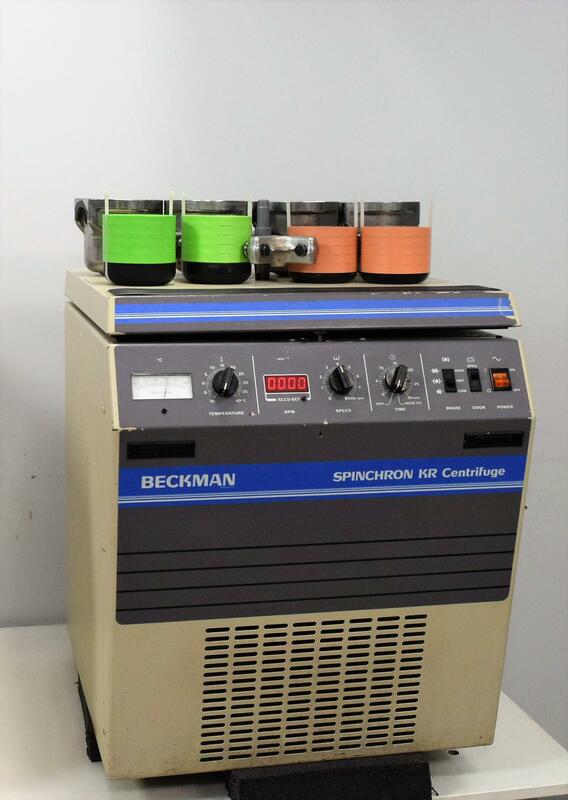 Beckman Spinchron KR Refrigerated Benchtop Centrifuge w/ GH 3.7 Rotor & Inserts . New Life Scientific, Inc. This centrifuge may be slightly used but it is a diamond in the rough. One of Beckman’s most durable and versatile models, it has both analog and digital controls. It is designed to operate with interchangeable rotors, depending on your application. Our technician tested the spinning, cooling, and braking mechanisms of this centrifuge and found it to be in great working condition.